Carlos Antonio Diaz was born on January 7th, 1958 in Kaneohe, Hawaii. The six foot right hander was a first round draft pick of the Seattle Mariners (15th pick overall) in 1979. He was the 13th major leaguer to be born in the state of Hawaii. After two seasons in the Mariner organization he was traded to the Atlanta Braves for Jeff Burroughs. 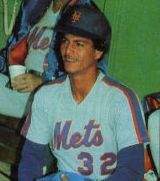 He made his big league debuted in 1982 going 3-2 with the Braves when in September of that year he was traded to the New York Mets for Tom Hausman. He made four appearances in relief, finishing four games for the Mets. 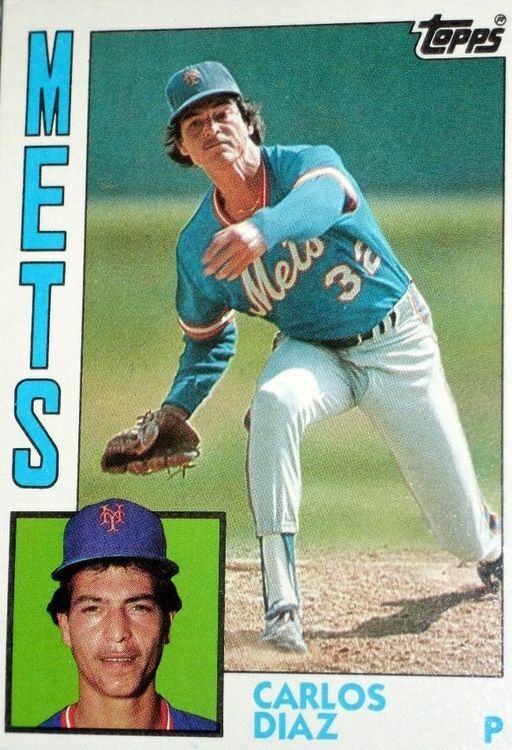 In 1983 he was a member of the Mets bullpen, getting his first Mets win in the second game of an April 20th double header against the Pittsburgh Pirates. He pitched three innings of relief allowing a run. Two days later he blew a save in Atlanta against his old Braves team mates. He was used in 54 games throughout the season going 3-1 with two saves & five holds to his credit, posting a 2.05 ERA. These numbers put him behind Jesse Orosco & Doug Sisk in that Mets pen. On December 8th 1983 Diaz was traded to the Los Angeles Dodgers along with Bob Bailor for fellow Hawaiian pitcher Sid Fernandez & Ross Jones. It was very odd to see two native Hawaians traded for each other & at first Met fans weren't too happy since Diaz had been successful that previous season. It turned out to be a real good deal for the Mets in the long run, Diaz was 1-0 in 37 games for L.A. that season & even spent time down at AAA Albuquerque. In 1985 he made 46 appearances going 6-3 with a 2.61 ERA. On September 18th he came in to pitch in the 12th inning in an extra inning game against the Mets & gave up the winning HR to former teammate Mookie Wilson in the top of the 14th. Sid Fernandez had started the game but didn't factor into the decision. 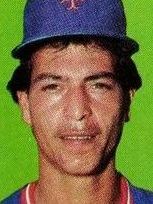 After just 19 games in 1986 Diaz's career would be cut short due to injuries. In five seasons he was 13-6 with 207 strike outs 97 walks a 3.21 ERA in 258 innings in 179 games.